AWD are a Japanese company specialising in the design and manufacture of interior parts for all generations of Roadster. 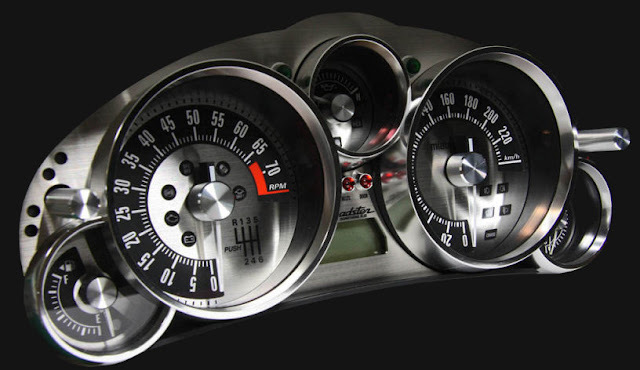 They produce some really nice pieces for the instrument clusters that I have admired for years, including some special gauge faces. 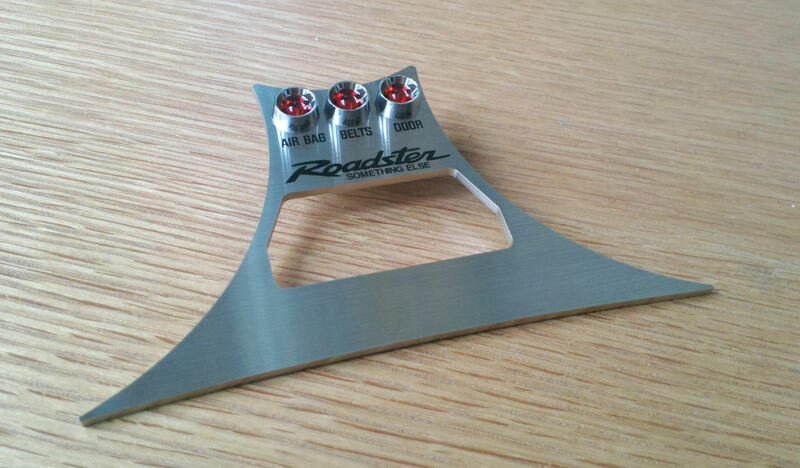 I got in touch with Bill over on MiataRoadster to see if he could arrange to send me some and sure enough he did! So what's in the box? Well first of all there is an A4 sheet with "Caution!" printed on, not quite sure why as there wasn't anything dangerous in the box. 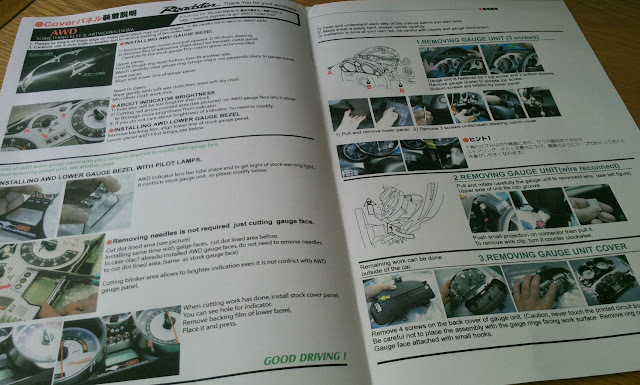 A comprehensive instruction sheet is included which goes into enough detail to make fitting the bezels a piece of cake. 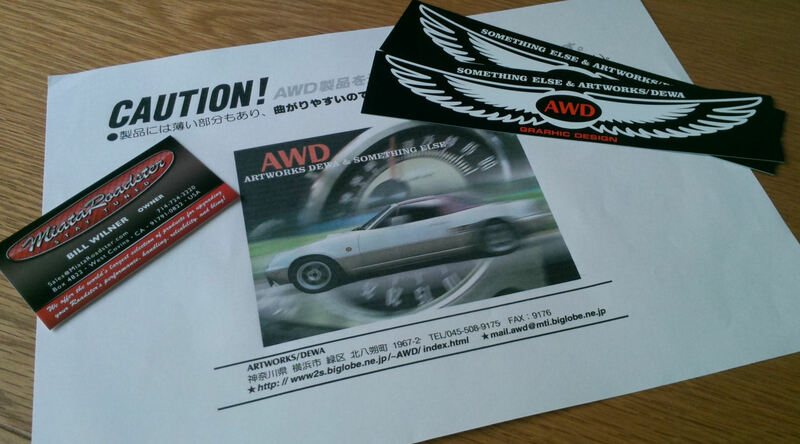 There was also a business card from MiataRoadster and some stickers from AWD, yes they do say GRARHIC DESIGN. I wanted the instrument bezel set with the light covers. They do a version without the light covers at a lower price, but I don't think they look as special. The NC uses surface mount LEDs for dash illumination so there are no bulbs to change. 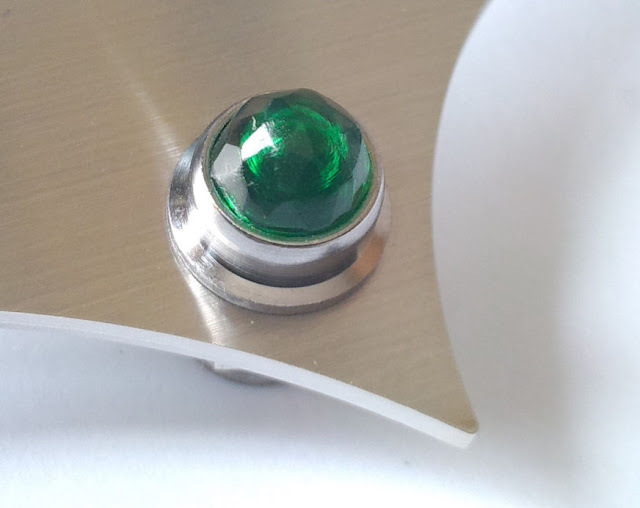 The light covers are a chrome finish with coloured lenses. The bezels are of very high quality as you would expect. There're a 2mm steel with a nice brushed metal finish which complements the chrome look of the warning lights. 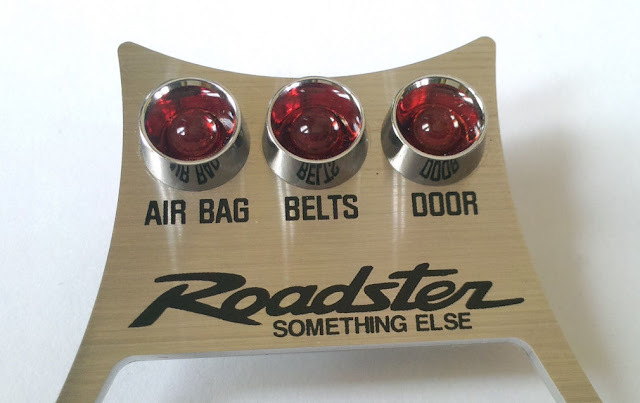 The lower piece also has a good quality and well defined screen print of the stylised Roadster logo and AWD's slogan "Something Else". The top piece is reminiscent of a Batarang in shape, so be careful and don't go throwing it around.